.:19:. This thing called “bond”. April 10th marks National Sibling Day (according to someone, somewhere). I like to jump on bandwagons sometimes and celebrate random things. But this to me, this isn’t as random as one might think. I truly think this is something to be celebrated. The blessing of a sibling is amazing. We are born adoring our family, defending, protecting, and looking up to them. We soon find our own identity, we make our own choices and at some point we branch out and form our own life and family. But we never forget where we began. We may have our differences, strong views and perspectives in life, we may even lose touch or drift apart, but something holds us together – a memory, a story, a person… weak or strong, we always have a BOND. I may be a dreamer, as I imagine my girls will remain best friends for the rest of their lives, thinking about how they’ll make the news… “90 Year Old Twins, Still Best Friends” (as they giggle over tea and hold hands). Of course, my husband and I will be 120 living in a glorious place probably learning about such news via SKYpe (get it?). ah ha, ok (and I will not be a retired comedian). 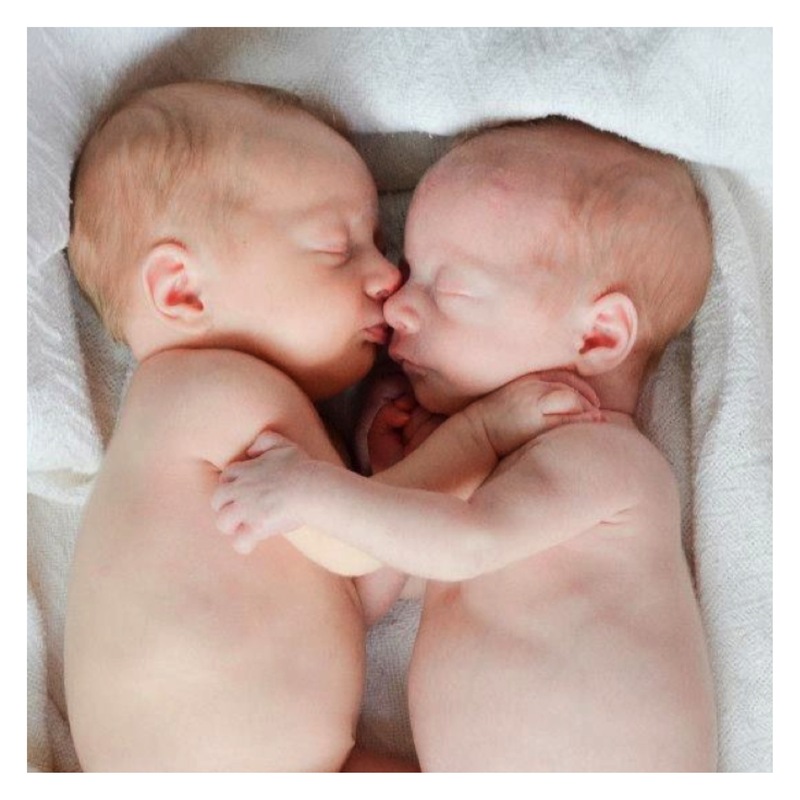 Since day 1, I have been fascinated with this world of twins. How special it is to raise two at once. Chaotic and challenging in it’s own right, but this unique bond is simply amazing. I really wouldn’t trade this experience for anything. I am always surprised, taken aback and even a little offended (but I get over that quickly) when I get those looks of “good luck” or “no thank you”, as if raising twins would be the most horrible thing ever. I’ll tell you, it is not. 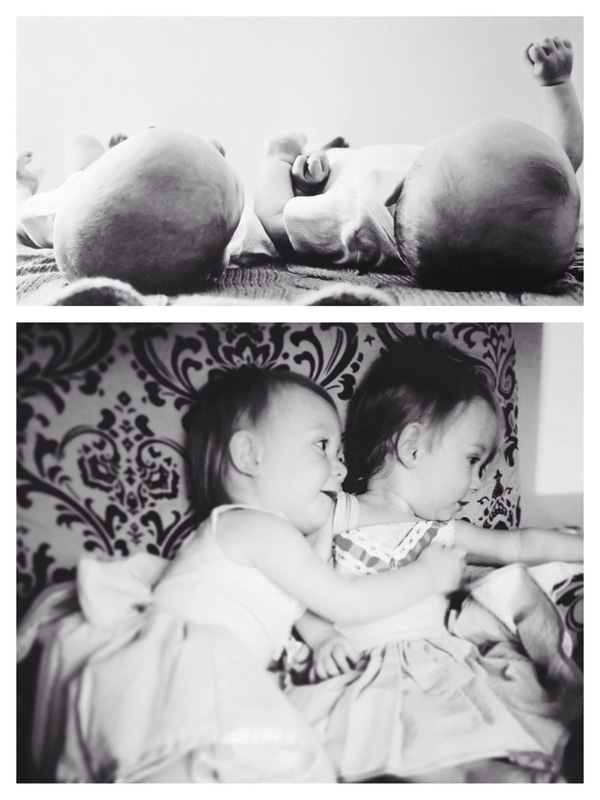 Watching them grow up together is really the best thing ever. 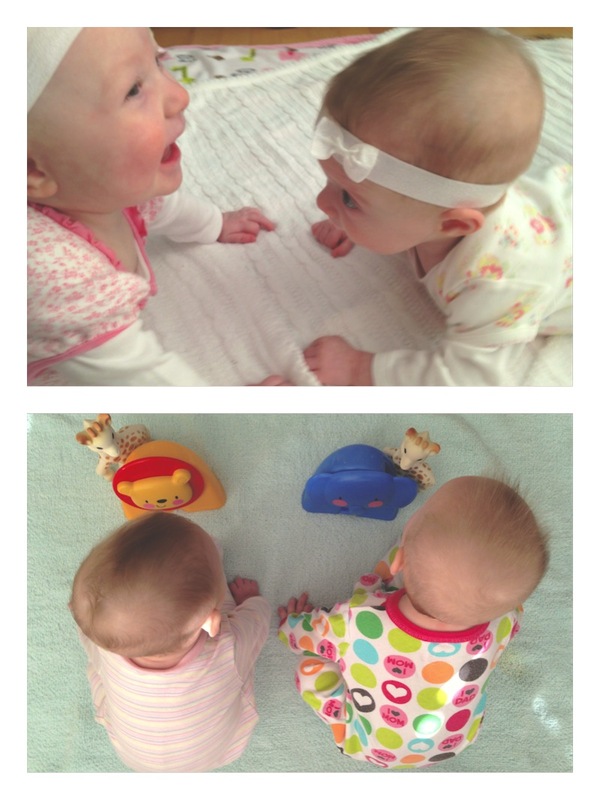 I recently found myself reflecting back on day 1, when my girls came into this world together, well… 2 min apart. After a shocking welcome, followed by gasping screams of “I’m here!! 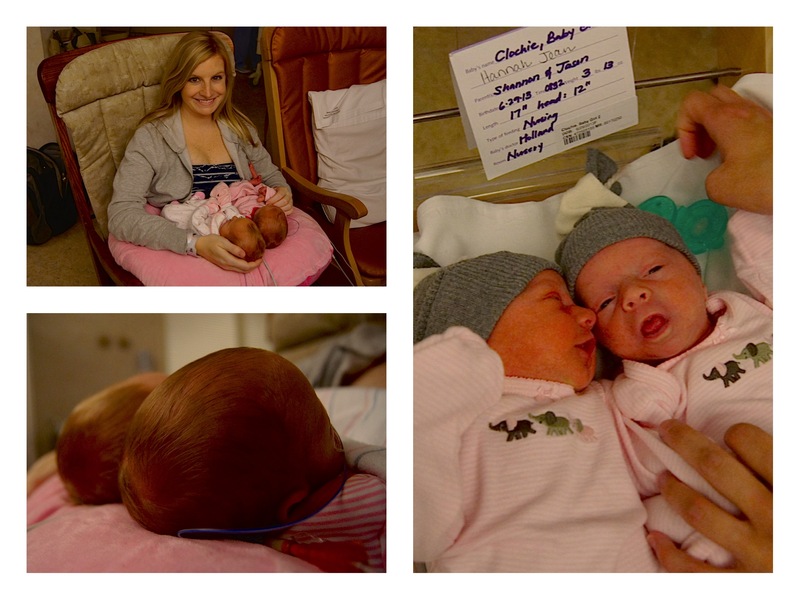 !” my babies’ fears seemed to subside when they were near each other. When I first held them together, it was beautiful… and when they made eye contact, as blurry and non-identafiable as I’m sure it was, I could see their heart rates increase on the monitors. As a first time mom, with preemies, and in the Special Care Nursery, I was actually scared “what was happening?”, but I quickly understood. Eyes locked. hearts raced. hands touched. tiny coos emited from the mouths of two. two babes. sisters. twin sisters. As I stared at two sets of tiny everything, my mind raced with wonder. they lie beside a tiny shoulder they will someday cry on, another set of feet they will run and dance with, another mouth to chat and giggle with, hands to hold and hug each other with? what fun they will have exploring this world together? how much they love each other? how much they’ve changed our lives? I cannot predict their future, but I can pray that they remain beside each other. I pray they find comfort on each other’s shoulders when that time is needed. I hope they can keep up with each other and wait for one another…even when one wants to go fast and the other wants to slow down. I hope they can speak the truth and advise each other while holding back words of regret. I pray they can support each other as they sometimes “learn the hard way” and as they make those big life decisions (college, career, love, family). Through thick and thin, good and bad. 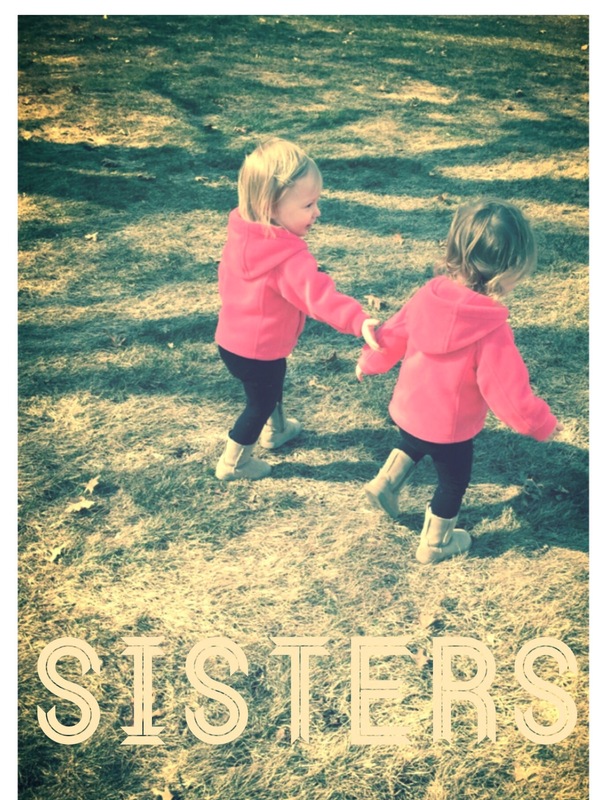 Sisters, siblings, what a wonderful bond. Watching my two innocent sweet baby girls grow right before my eyes, is more than a blessing, it’s an honor to be their “mama”. I am determined to guide them together, teach them to love each other and always have each other’s backs. Partners in crime (to be expected), both of my social gals are beautifully unique; outgoing, silly, wispy strawberry blonde (Alaina) and timid, serious, clever, brunette (Hannah). It is so awesome to watch them teach and learn from each other as they explore the world in their own way. They had one another before I even knew them and I pray this amazing and unique bond will only strengthen throughout the years. tummy time + learning to sit is pretty fun with a partner. “I wub sissy” is a favorite phrase. 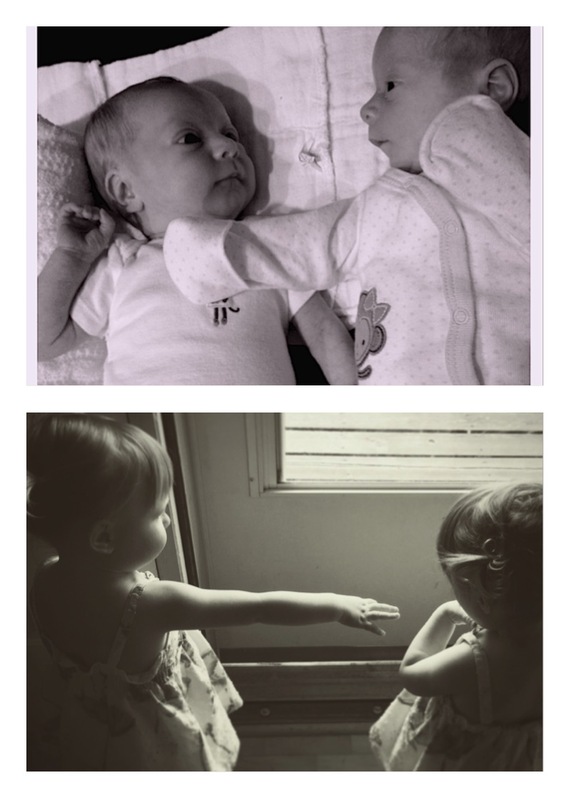 Now, at almost 2 years old, I watch my once preemie girls learn to comfort and defend each other. With caution and delight I witness their precarious wobbly run as they excitedly chase one another. I can’t help but belly laugh along with them as they roll around on the floor or dance their little hearts out – clapping, screaming and stomping their feet ~ I’ve never seen such passionate little dancers. Waking up to their chit chat/giggle sessions is simply wonderful. 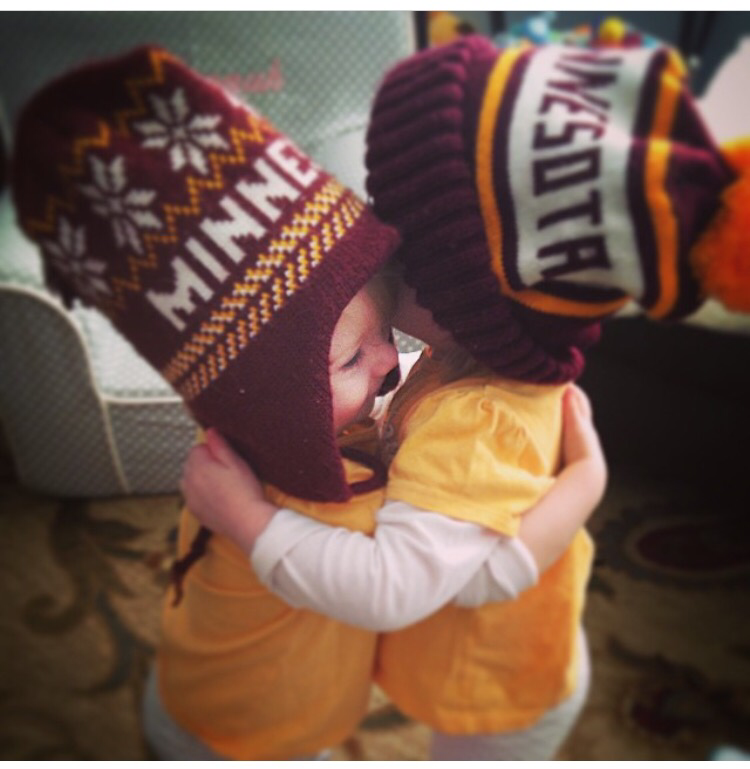 And the hugging… Well, it may result in a tackle on the floor but it’s all good intentions! 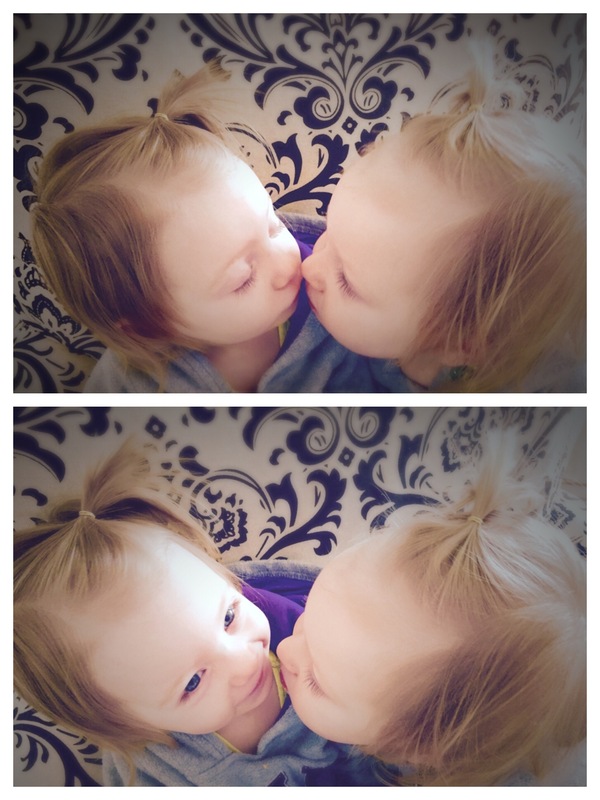 This thing called BOND… I think they’re getting it.